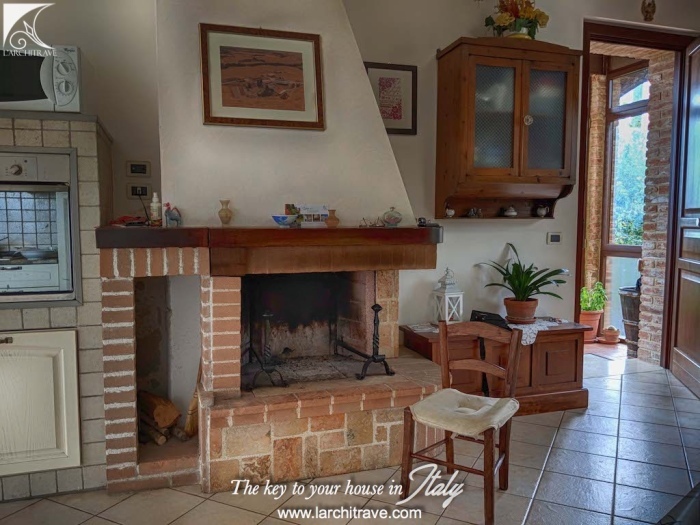 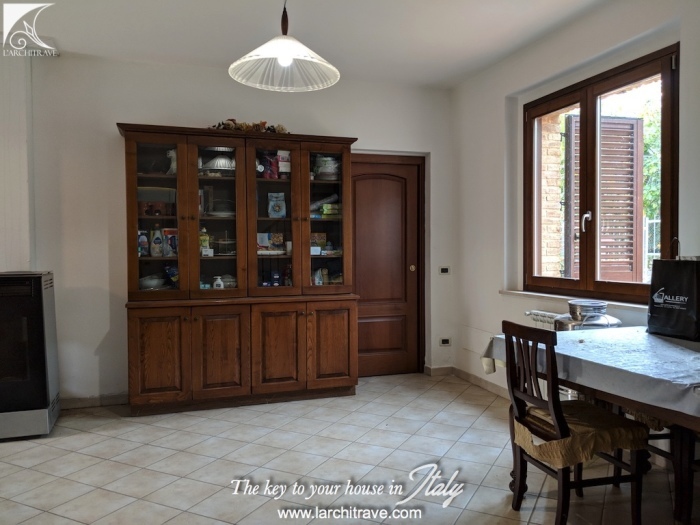 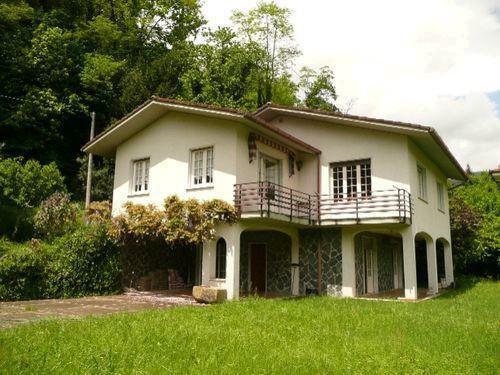 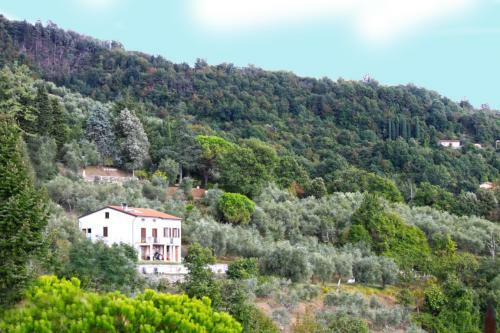 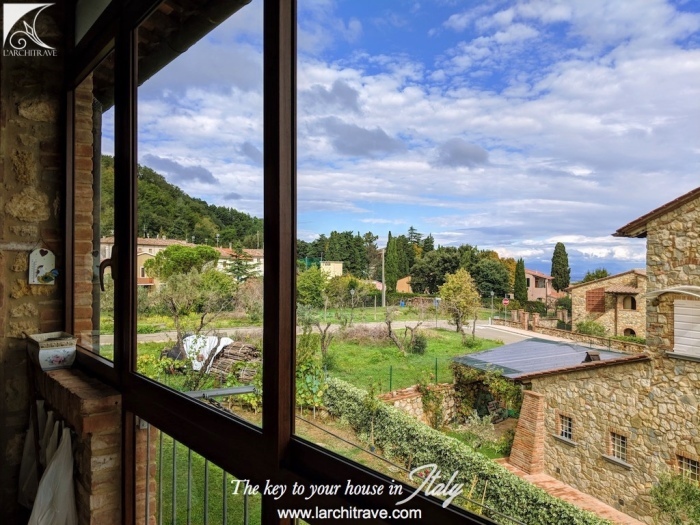 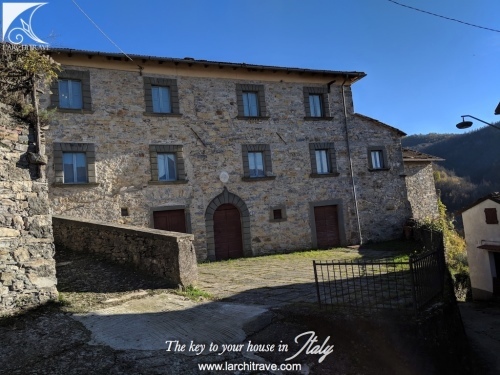 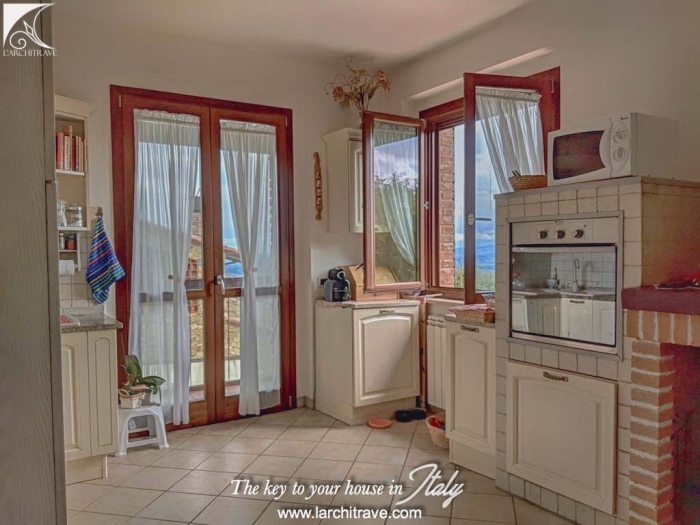 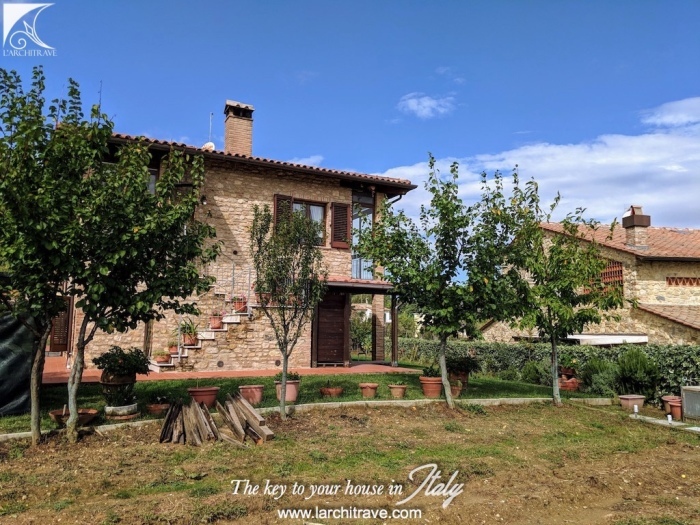 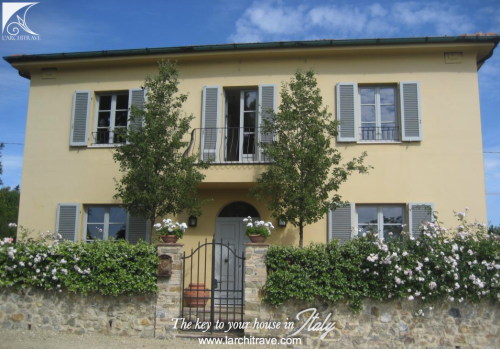 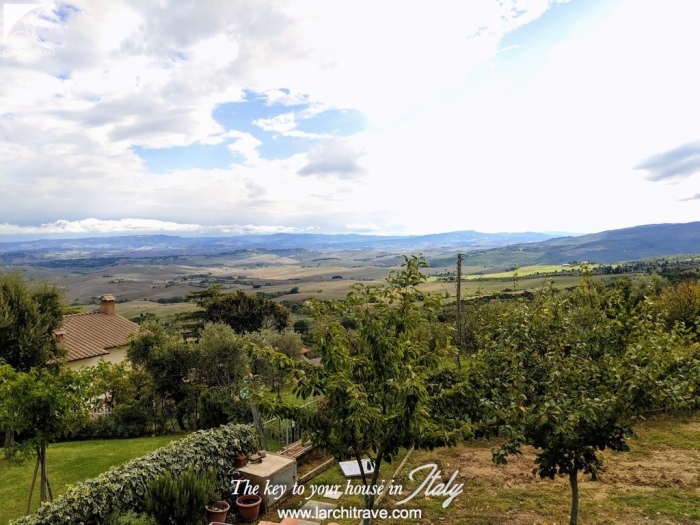 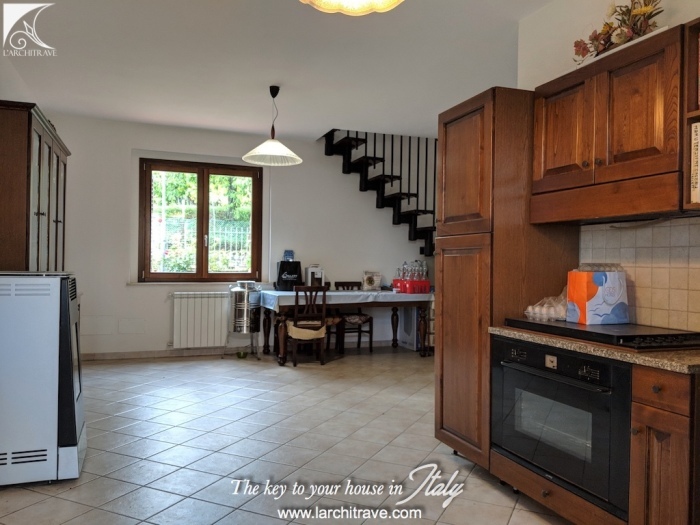 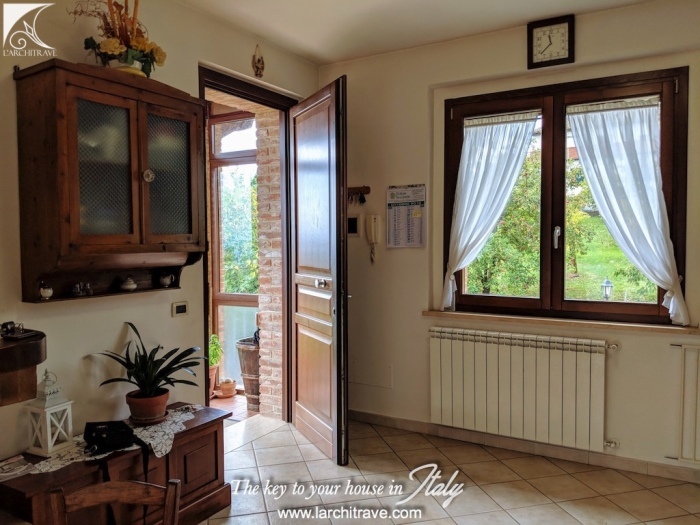 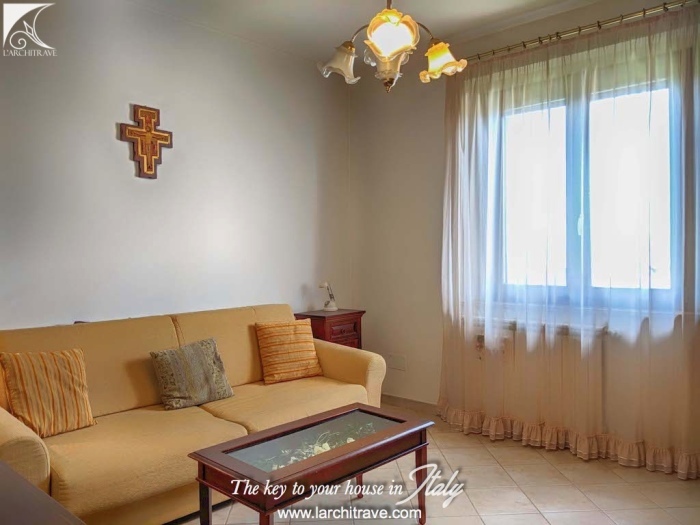 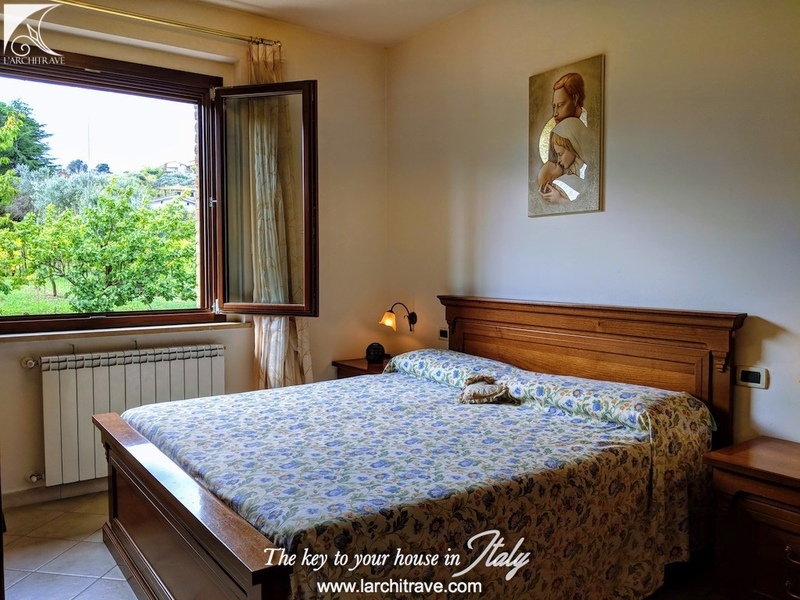 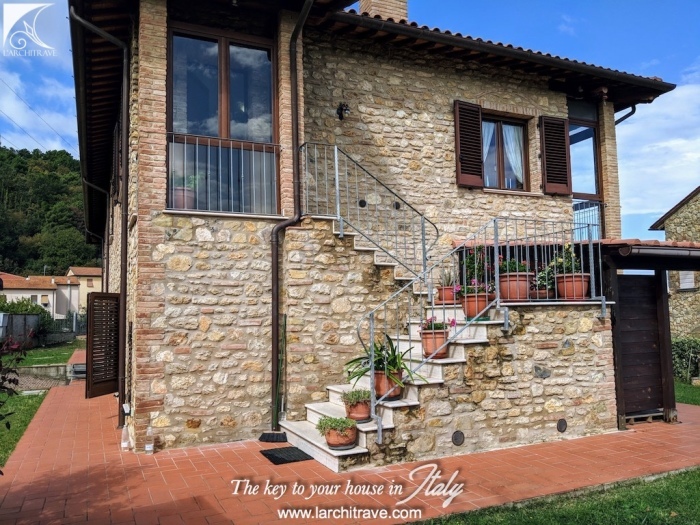 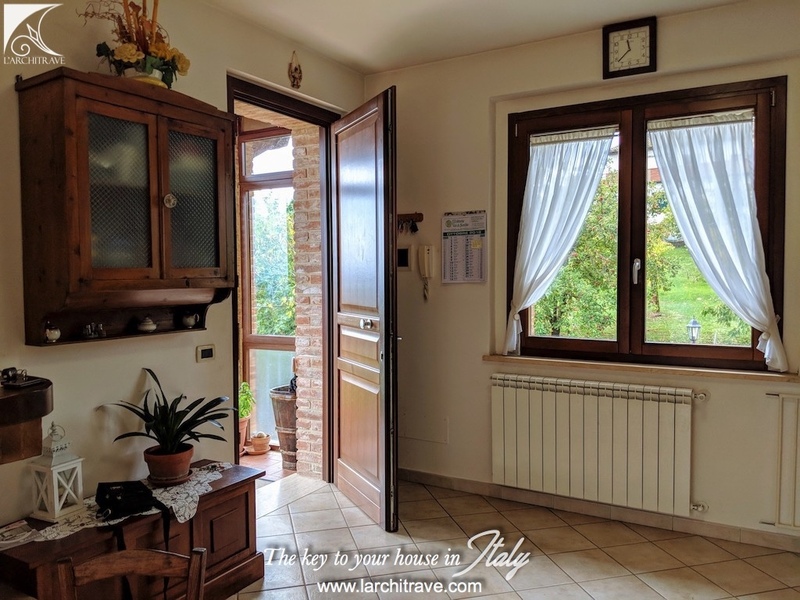 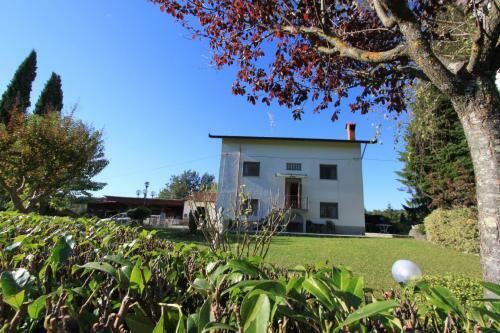 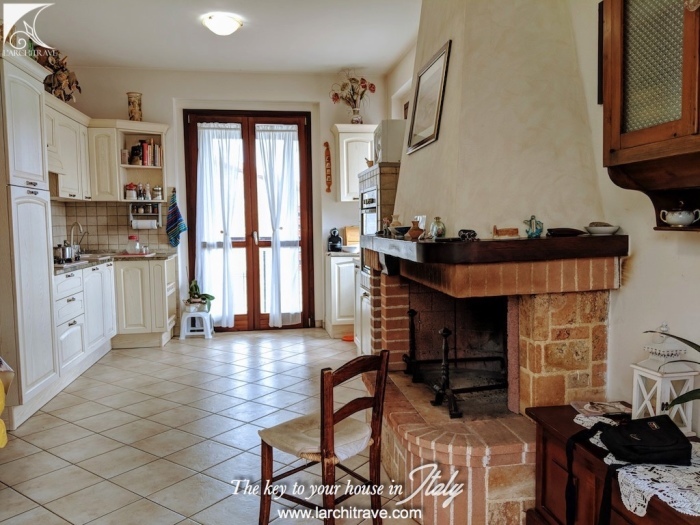 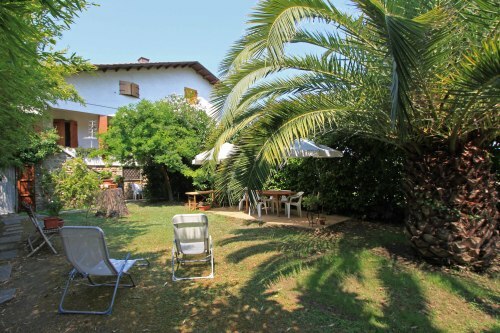 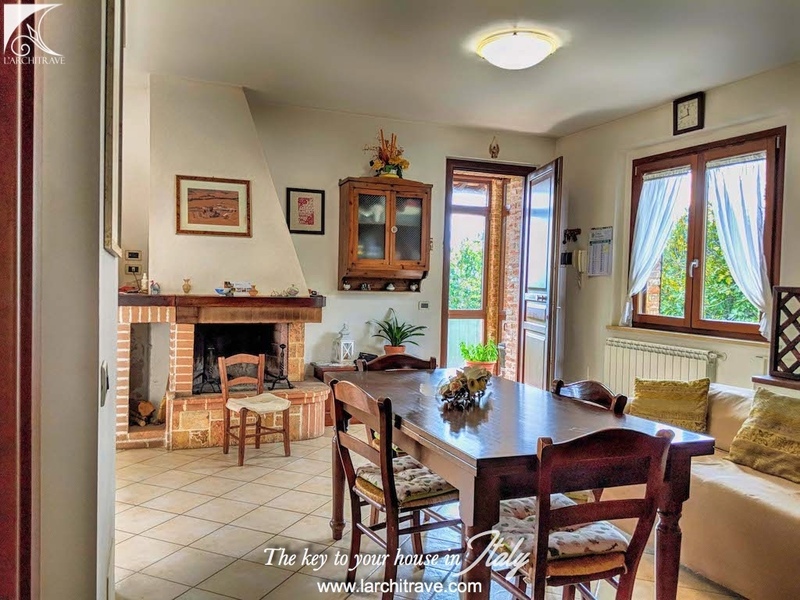 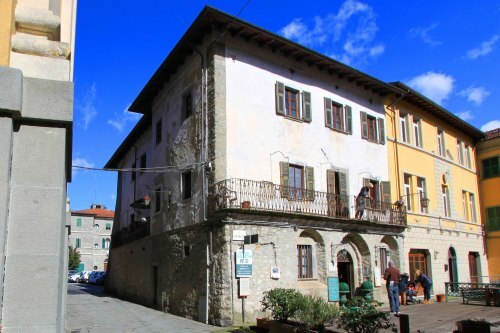 Beautiful semi-detached stone house with a wonderful garden and panoramic views, set in a peaceful spot in Chianni, at the end of a little lane. 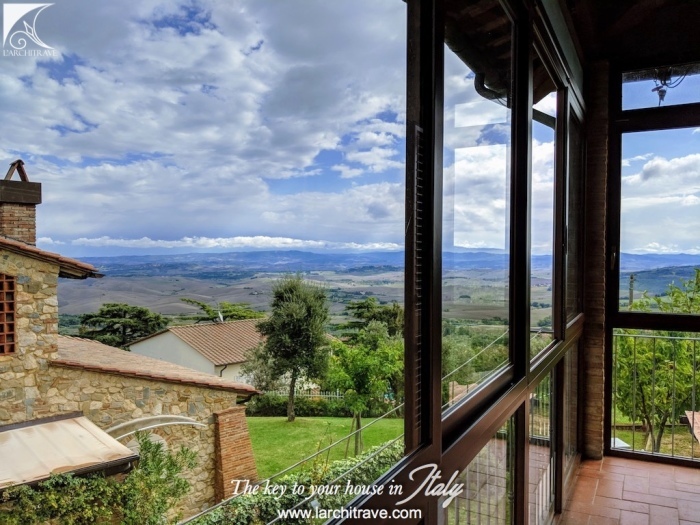 Possibility of a pool with a view over Volterra. 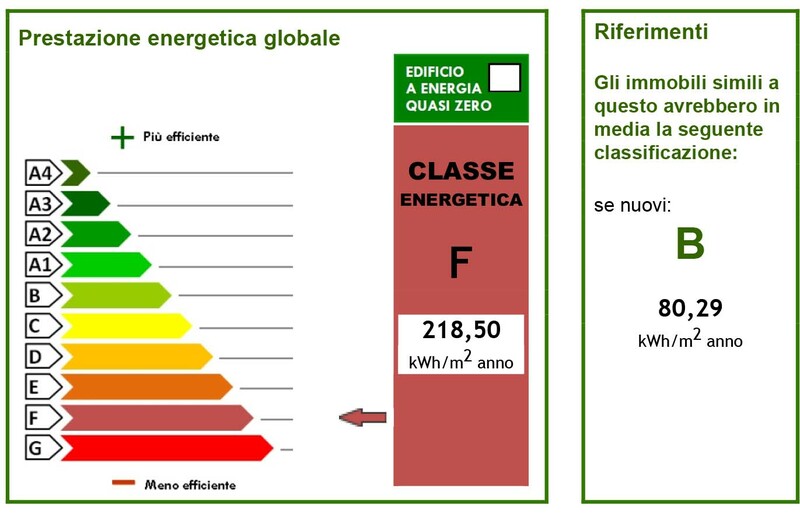 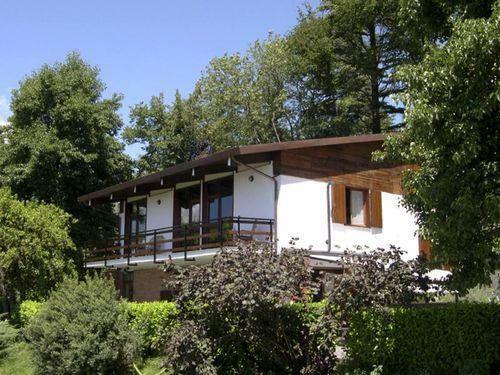 The house of 160 sqm is made up of two zones. 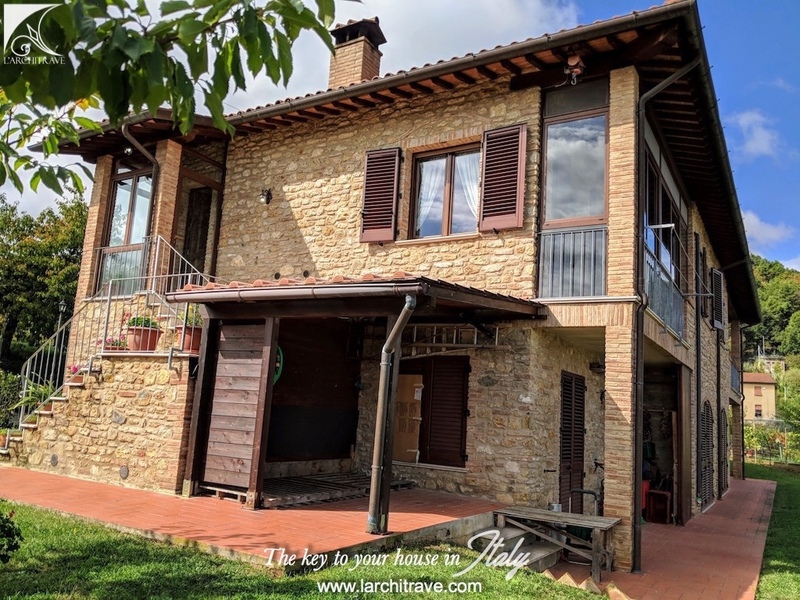 The zone on the first floor is entered either from the ground floor or from an external staircase and it opens into a large living/kitchen open space with balcony, which is very bright with two bedrooms and bathroom. On the ground floor is another zone with kitchen, also open plan, and with access directly to the garden and with a loggia with a bathroom and another room, which could become a third bedroom. 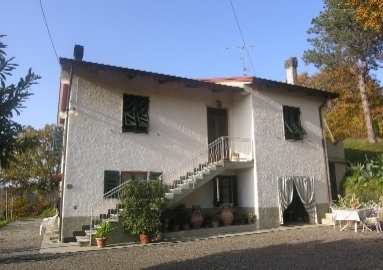 Garage and parking space. 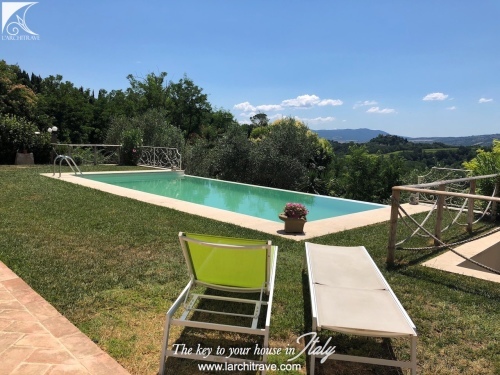 Beautiful garden of 600 sqm with views over Volterra. 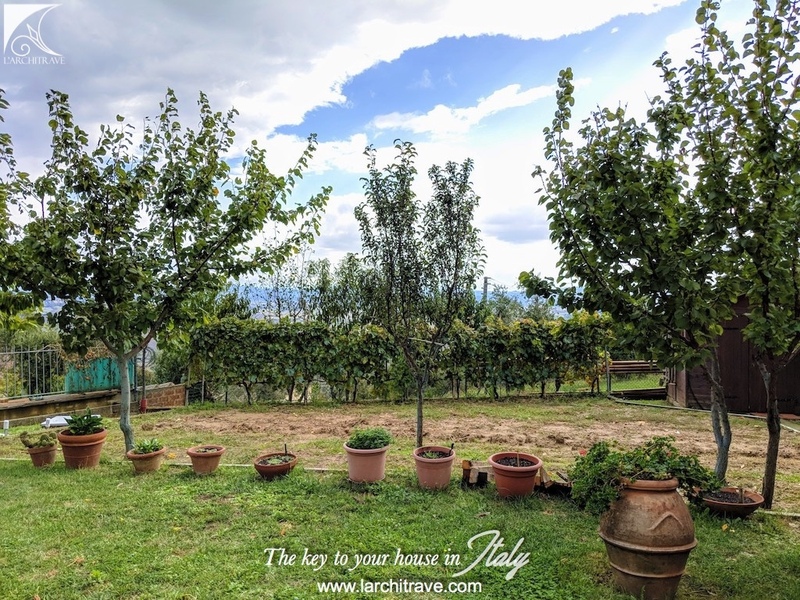 Chianni's hidden location has maintained the sense of timelessness away from any crowds, yet it is just 40 minutes drive from Pisa airport. 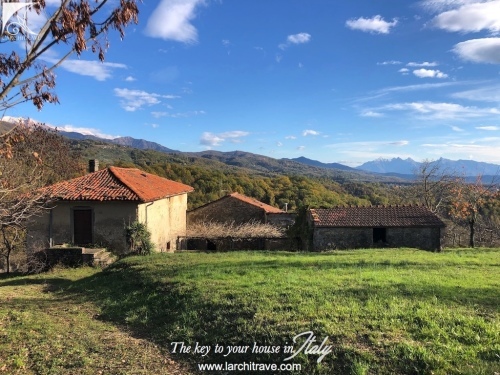 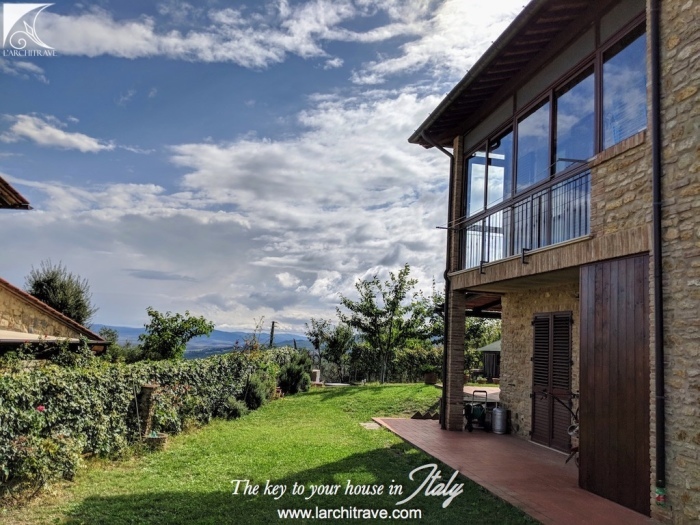 The coastal cities of Castiglioncello and Cecina on the Tyrrhenian coast, or the golf courses of Pisa and Castelfalfi, or the remains of Etruscan and historic towns, such as Volterra, are all within 30 minutes drive.